Who doesn’t love a good meatloaf? Hardly anything rings more American than a traditional meatloaf with a side of potatoes. The great part about meatloaf is that it has numerous varieties and even though the general concept is the same, everyone has preferred additions to make it their own. This particular recipe is for an electric skillet meatloaf! If you’re new to the concept of baking meatloaf in an electric skillet, then you’ve come to the right place! Using the electric skillet not only cuts down on extra heat in your kitchen, but it also gives you the option of cooking vegetables right alongside the meatloaf for enhanced flavor. 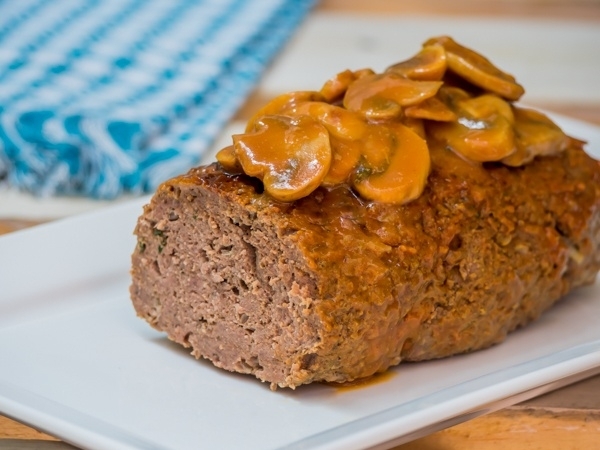 This particular recipe calls for button mushrooms added in around the meatloaf and topped with a ketchup mixture. 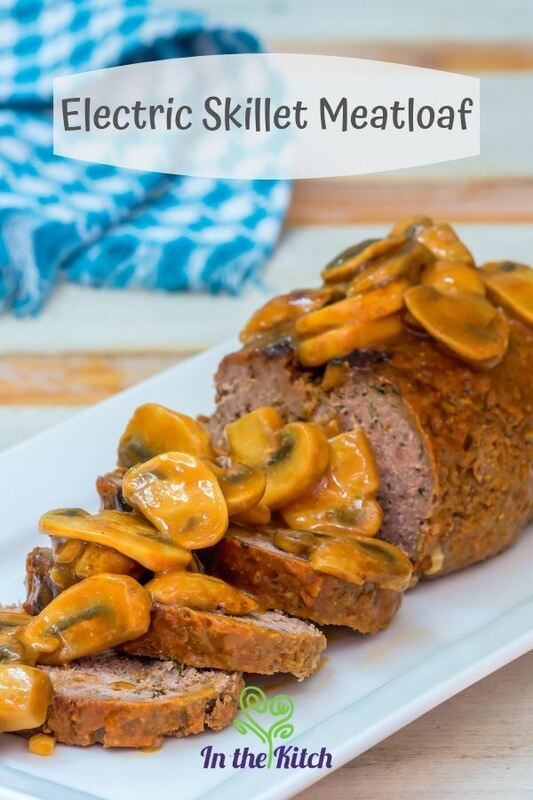 The great part about meatloaf is that it has numerous varieties and even though the general concept is the same, everyone has preferred additions to make it their own. This particular recipe is for an electric skillet meatloaf! In a mixing bowl, combine the ground beef with the egg, worcestershire, onion, milk, bread crumbs, garlic powder, salt and pepper. In a small bowl combine the ketchup, mustard and brown sugar. Set the electric skillet temperature dial to 250°F. Melt the margarine in the skillet. Form the meatloaf into a loaf shape and place the meatloaf in the skillet. 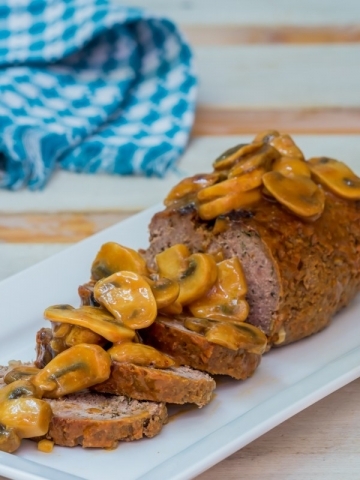 Surround the meatloaf with the sliced mushrooms. Pour the ketchup mixture over the meatloaf and mushrooms. Cover and cook for 1 hour or until desired doneness. If you enjoy a good helping of sauce on your meatloaf, go ahead and double the sauce. It may initially seem daunting to use your electric skillet rather than the oven to bake your meatloaf, but you’ll likely be hooked once you try it! Using the electric skillet could help keep your house cool in the summer months, it could conserve electricity by heating a far smaller element, and it can free your oven for other dishes if needed. Additionally, the electric skillet will keep your meatloaf warm while you serve. 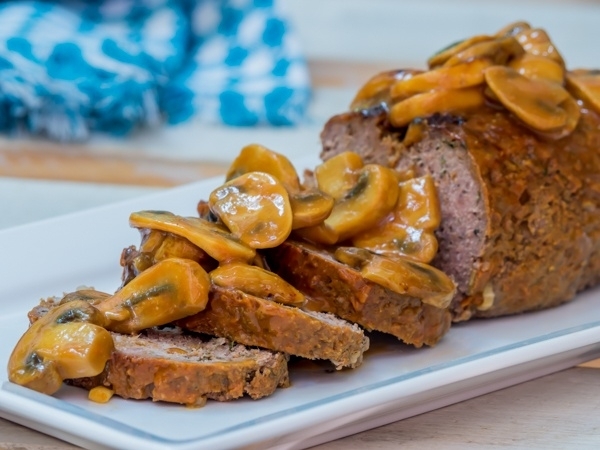 In the end, the process of preparing the meatloaf isn’t that different from a typical recipe, and yet, there are several more benefits to enjoy. Now, are you eager to bake meatloaf in an electric skillet? What other ground beef recipes have you tried in your skillet? 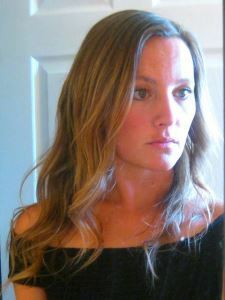 We’d love to know what you think in the comments, and please share the article if you found it valuable!